VAPING IS such a huge trend today! 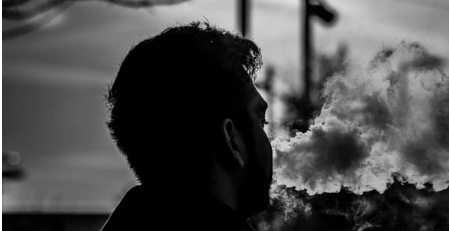 When you go around the city, you’ve probably seen a few people breathing into these small gadgets in their hands then breathing out thin foggy vapor – that’s vaping. You’d even see some users performing tricks with the fog that’s amusing to both smokers and nonsmokers alike. With this rising trend in vaping, we can see hundreds of cigarette smokers trying to convert to vaping instead. So what is vaping really? Vaping has only been made possible with e-cigarettes. E-cigarettes are these handheld devices that vapers use to actually form the vapor. It differs from the traditional cigarette because the smoke produced by the e-cigarette doesn’t come from the traditional tobacco leaf but from a manufactured chemical liquid. This liquid is placed inside the e-cigarettes and is vaporized through heat. The vaporization itself is triggered whenever the individual inhales through the device or through a button (depending on the model of the e-cigarette). There are a lot of different designs for e-cigarette starter kits each with its own advantage and disadvantages. Why are there a lot of smokers converting from the traditional tobacco to e-cigarettes? Well, the biggest advantage of e-cigarettes would probably be the claim of posing less harm to the body compared to their traditional counterparts. Many have claimed that e-cigs have fewer amounts of chemicals with some of them even being mere food flavorings. Although to say that e-cigarettes are 100% safe is a bit of an exaggeration, moderation is still something all users should practice. So if you’re interested to buy an e-cigarette and start your vaping journey, then you can run down to the nearest retailer and buy an e-cigarette that’s right for you and an e-cigarette liquid that you think will give you that zing. And if you’re really crafty, you could even learn a couple of tricks! TVECA Response to e-Vapor Unit Failure in L.A.